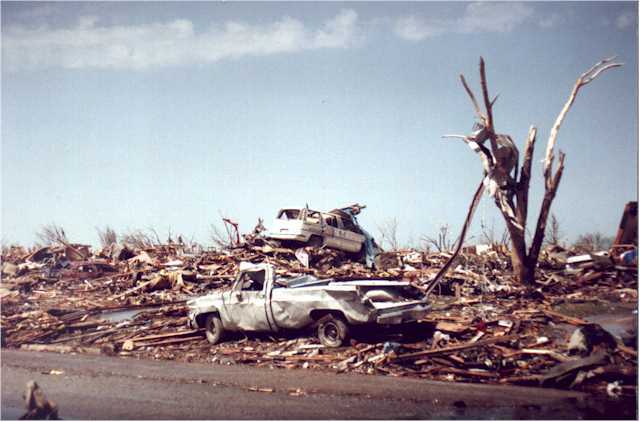 F4 tornado damage from May 12, 2004 near Harper, Kansas. The couple who lived here survived on the park bench shown in the right picture, they were in the basement. Things imbedded in trees, last one is a steel fence post. 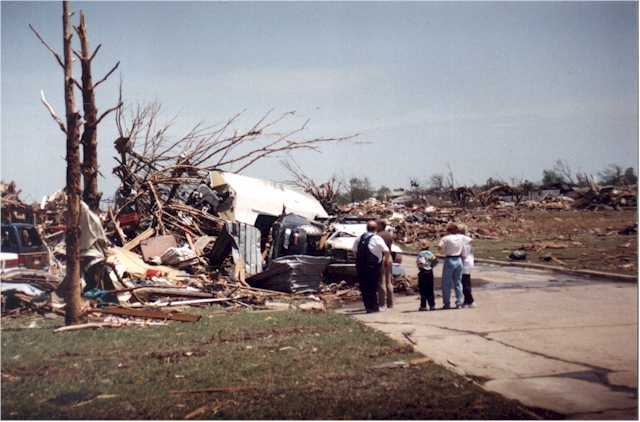 Another home shows extensive damage about a mile away. Traffic on I-35 and 4th street in Moore as I tried to get home after taking a final in Norman. North side of SW 134th just west of Santa Fe. 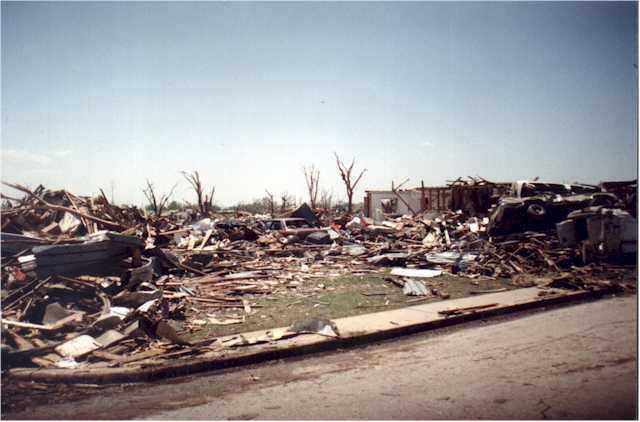 Damage west of I-35 just north of 12th street. 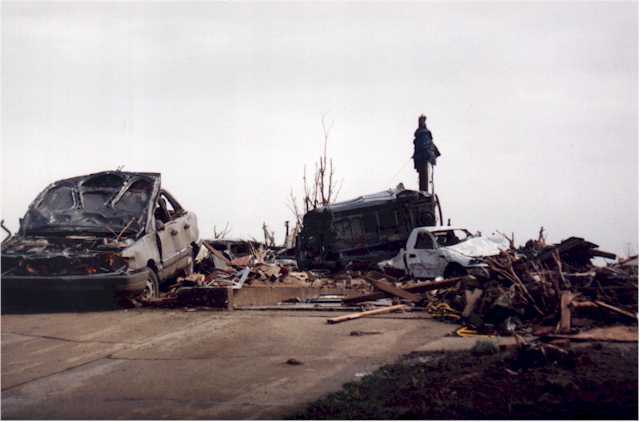 Numerous restaurants and hotels were destroyed in this area.